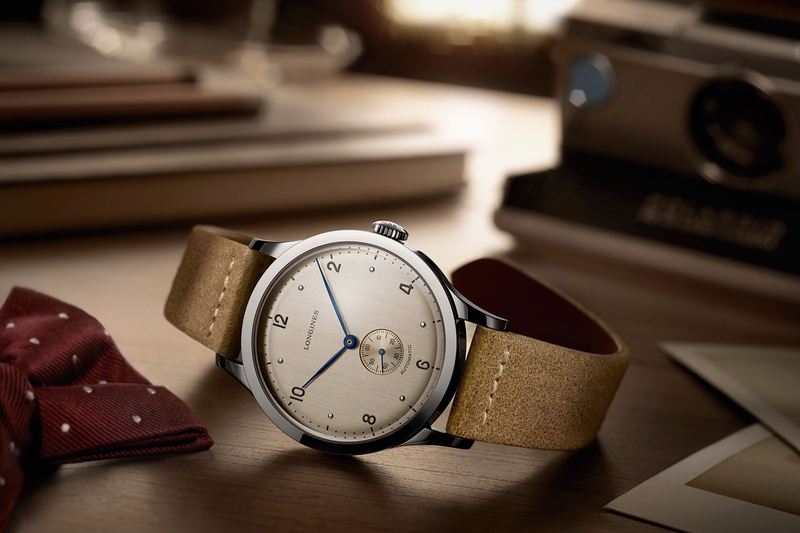 The past few years Longines has introduced a number of cool “Heritage” throwback timepieces, including three we previously covered here, here and here. 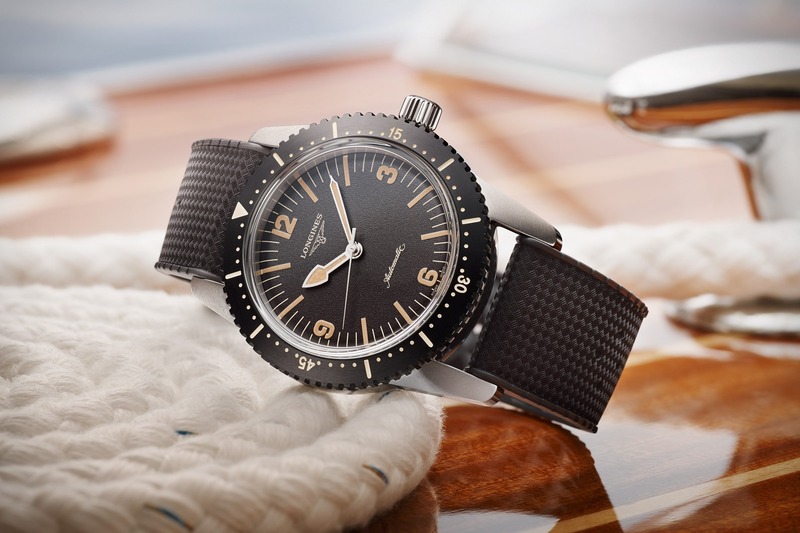 Differentiation is typically the key to any business, and so by making these unique retro timepieces, Longines has positioned themselves well. However, if they really want to “blow-up” the brand, so to speak, we think the Swatch Group should let them develop their own movement. Being encumbered with ETA movements, for all models, is somewhat disappointing for a brand with such provenance. 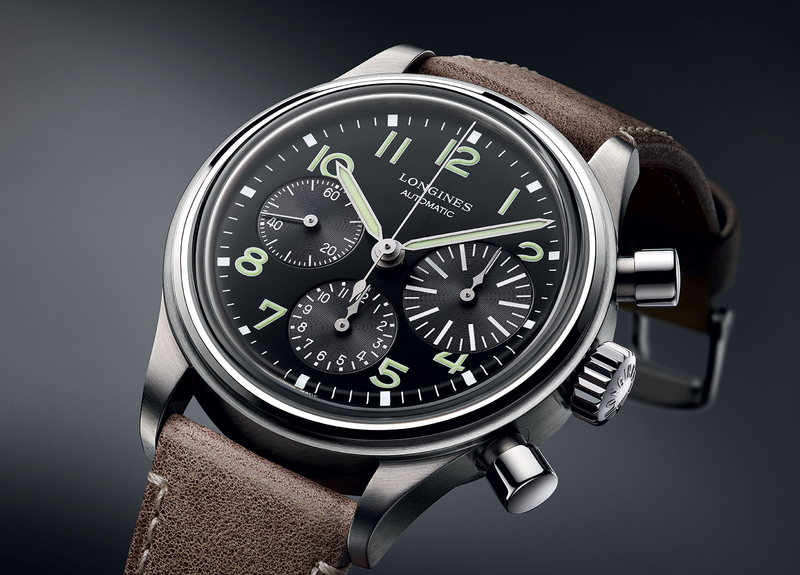 The Longines Avigation comes in a 44 mm stainless steel case, with a fixed, stepped bezel. The sapphire crystal has a two layer interior glare-proof coating, that cannot be scratched (because it is only on the inside). The design is based on a model produced for the British army during the 1950s; and like the original timepiece, the movement has a cage around it to protect against the effect of magnetic fields. As we said above, all new Longines watches are powered by some form of ETA movement, and in this case it is an ETA/Valgranges A07.171 (that they call L704.2). It beats at 4Hz, has 24 jewels and a 48-hour power reserve. Functions include hours, minutes, seconds, date and 24 hour hand with time zone mechanism. The dial is black lacquered and has been polished. Painted Arabic numeral with Superluminova mark the hours, with white painted indexes marking the minutes/seconds. Silvery sandy baton-shaped hands with Superluminova indicate the hours and minutes. The central seconds hand has a diamond tip that is treated with Superluminova. 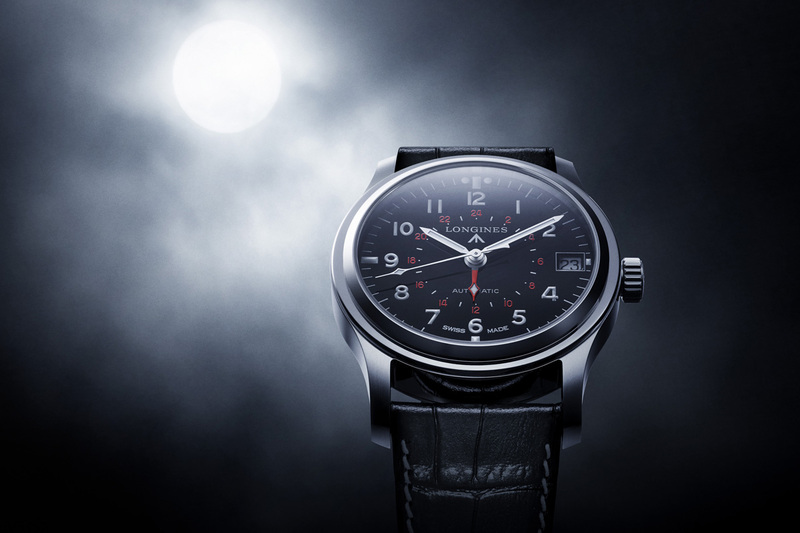 The 24-hour time (or military time) is conveniently displayed in the center via the red printed 24-hour dial, and red diamond tipped 24-hour hand. Previous articleNewsNew Rolex coming on Monday?